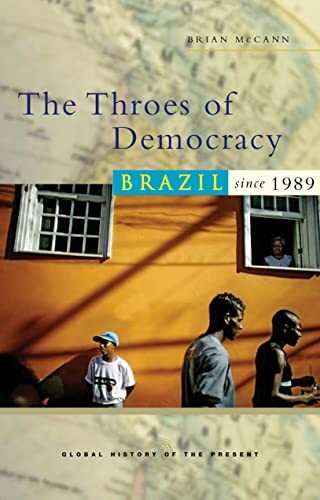 [PDF] The Throes of Democracy: Brazil Since 1989 (Global History of the Present) | Free eBooks Download - EBOOKEE! Description: In the 1980s, Brazil emerged from two decades of military dictatorship and embarked on an experiment in full democracy for the first time in the nation's history. Since then, Brazilians have sought to live up to the ideals of this experiment while negotiating dramatic economic and cultural transformations. In The Throes of Democracy, Bryan McCann gives a panoramic view of this process, exploring the relationships between the rise of the political left, the escalation of urban violence, the agribusiness boom and the spread of pentecostal evangelization. Brazil remains a land marked by deep inequality, but in the last two decades the structure of that inequality has changed substantially. No comments for "[PDF] The Throes of Democracy: Brazil Since 1989 (Global History of the Present)".